Hi, everyone! Just a quick follow-up on my previous post (here), for those of you who haven't read the news (here) on my beauty blog yet. It was Positive+ . Twice. But I still couldn't believe it, until I'd gone for my first scan, and I heard its heartbeat. Gosh, it's so weird that a thing that tiny has a heartbeat! Okies, I will talk to you again soon. As for the apartment hunting, we are signing papers tomorrow. Hopefully, moving in day will be soon. I can't wait any longer! Have been living out of my suitcases for almost 2 months now. I gots to go! Thank You for reading & have a good week. 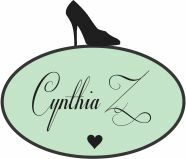 Big and Hearty Congratulations Cynthia! :) Be happy and God bless u both! hey CZ congratualtions and i wish you and your hubby the best I am sure you will have a beautiful baby or handsome baby :P lol all the very best and god bless you all <3 loads of hugs and kisses ! !